The driving experience remains as intoxicating as ever, and it's still worthy of a place in anyone's fantasy garage. It scarcely seems believable the GT-R has been around since 2007. Due to being so ahead of its time in terms of performance and technology, over the years it’s required little more than gradual power upgrades, subtle chassis tweaks and upgraded interior treatments to keep pace with newer opposition. The driving experience remains as intoxicating as ever, with incredible straight-line speed and immense cornering grip, ensuring the GT-R holds its own against all but the most exotic supercars. It’s still worthy of a place in anyone’s fantasy garage. 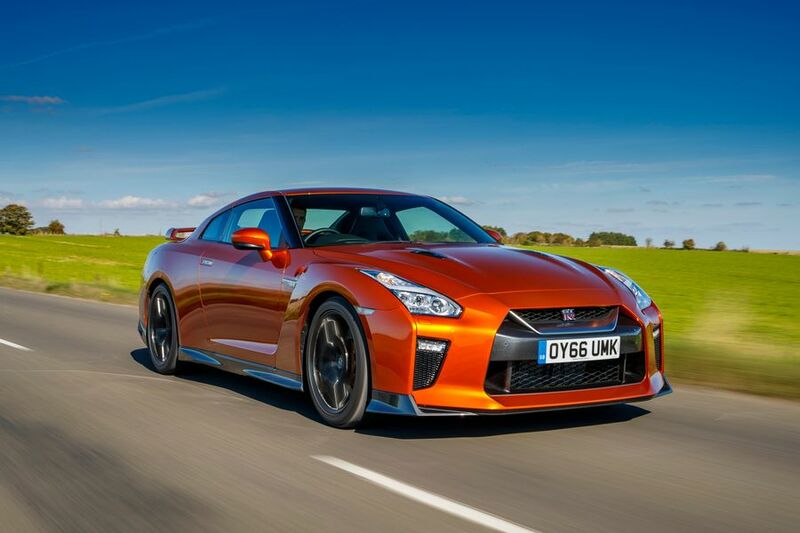 Nissan’s supercar remains a much rarer sight on UK roads than the likes of the Porsche 911 and Audi R8, so if you buy a GT-R, you will get certainly noticed. It’s not just rarity value that sets the GT-R apart, either. The body panels look like they have been styled by a meat cleaver, and the drain pipe-sized exhaust pipes, massive boot mounted wing, huge air intakes at the front, smoked 20-inch alloys and massively wide tyres all contribute to the GT-R’s seriously aggressive demeanour. The body work may still look space age, and the latest cabin upgrades may have gone someway to lifting matters, but the GT-R’s interior is undoubtedly starting to look a wee bit dated. While some intriguing touches remain (including the bright red starter button next to the gear-stick, and the trio of toggle switches that turn everything into the bonkers ‘R’ mode), some of the plastics are hard and scratchy to the touch, and lack the quality of a Porsche 911. The driving position may prove a bit high for taller drivers, but the front seats are wide, comfortable, and supportive in all the right places. Forward visibility is fairly decent, but the rear view is significantly hampered by the chunky C-pillars and the enormous rear wing. At least the shift paddles have been moved from the column to the steering wheel, making mid-corner shifts more intuitive. The usability of the touchscreen infotainment menus and sat-nav is now a lot easier to use than earlier cars, thanks to a supplementary rotary controller. Supercars and practicality rarely go hand-in-hand, but thanks to its substantial dimensions, the GT-R is a bit better than most at carrying luggage and passengers. Even so, the rear seats are strictly for occasional use. The steeply sloped roofline eats into headroom, and if the driver is anywhere close to six foot, rear legroom is at a real premium. The race replica front seats also make getting in and out of the back seats quite tricky. Once you have squeezed people in the back, the rear view is extremely limited. 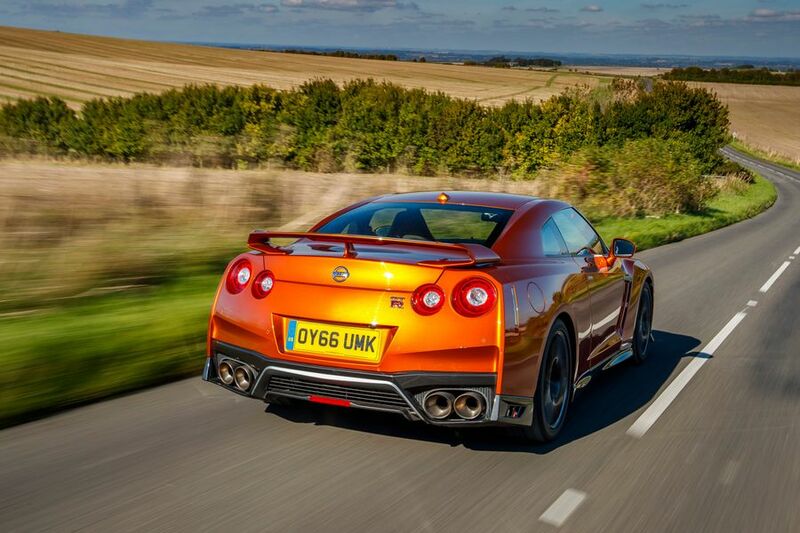 The GT-R’s trump card is its useful boot that can take up to 315-litres of gear. That’s enough space for two small suitcases, or a couple of soft golf club bags at a squeeze. However, the opening is quite tight and you’ll have to lift your bags over a high lip and wangle things around to get everything in. 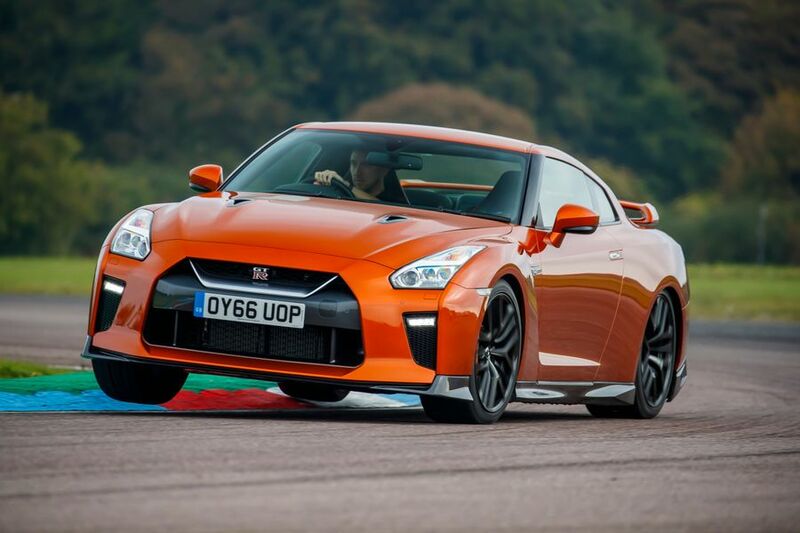 There’s no denying, at 1750kgs, the GT-R is no featherweight. It’s a pretty wide-bottomed fella too, but it rarely feels unwieldy or laboured. 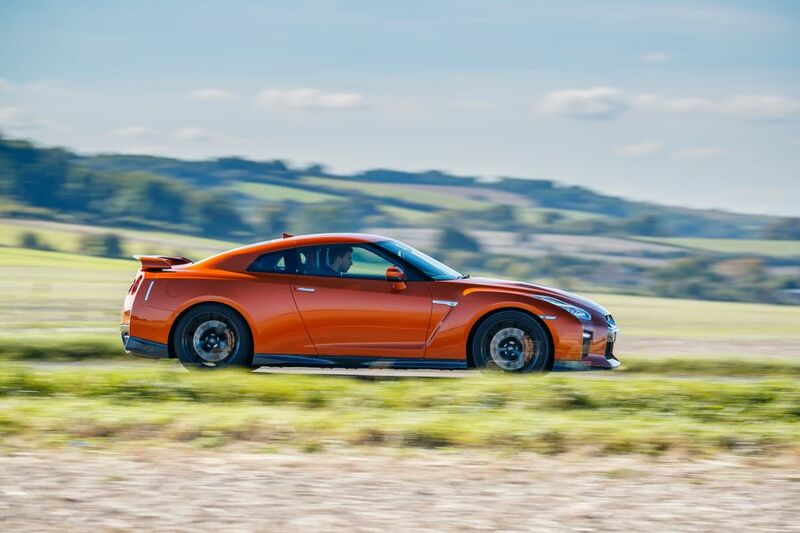 Considering the brutal performance, it comes as something of a surprise that the GT-R’s steering is so delicate, but it’s also incredibly swift and deadly accurate, allowing you to place it on the road with millimetre precision. What’s more, even though the softest of the three damper modes is genuinely supple, it still permits speedy turn-in and an incredibly flat cornering attitude. The limpet-like traction also means the car is brilliantly capable in wet or slippery conditions and on bumpy roads. The ability to drive with such impunity, at such rapid rates, means the GT-R’s only real problem is its adrenaline-induced addictiveness and the threat of a lengthy spell at her majesty’s pleasure. We could rabbit on forever about the GT-R’s myriad dash read-outs, trick four-wheel-drive system, switchable transmission calibrations, various suspension settings and improved aerodynamics, but what really makes Nissan’s seminal muscle car so truly epic is its hand-built twin-turbo 3.8-litre V6 engine. Now producing 562bhp and 470lb ft. of torque, the upshot of this outpouring of power is gut-churning acceleration, with a launch control-aided 0-62mph time of 2.7 seconds, and a top speed of 196mph. Equally, there are few, if any engines that pile on revs with such effortless abandon, as the pistons race to challenge the implosion-preventing 7000rpm red line. However, while state-of-the-art not so very long ago, in these days of super-smooth, unfeasibly flexible transmissions, the GT-R’s rear-axle-mounted shifter now seems rather antiquated. While the latest software upgrades have improved up-shift quality, low-speed downshifts can still be heard and felt clanking away. In the unlikely event you find the standard GT-R too slow for your needs, the Nismo edition raises the stakes even higher. It uses the same basic engine, but with a whole host of internal modifications raising the power to 591bhp with a corresponding drop in acceleration times. Predictably, the price you pay for the ballistic performance in the GT-R is that it will be very pricey to run. Rivals like the Porsche 911 Turbo, Audi R8 and more exotic McLaren 570S may all cost significantly more to buy than the Nissan and deliver similar pace, but the GT-R's running costs will be at least as ruinous as theirs. The latest 911 Turbo can be coaxed into returning over 30mpg, but you’ll be lucky if you get more than high teens in the GT-R. An official combined figure of 23.9mpg and a colossal CO2 output of 275g/km place it in the highest possible brackets for road tax, first-year showroom- and benefit-in-kind tax. The tyres are very expensive to replace, servicing intervals are short, and steep insurance premiums and pricey spare parts all add to the full wallet-emptying experience. 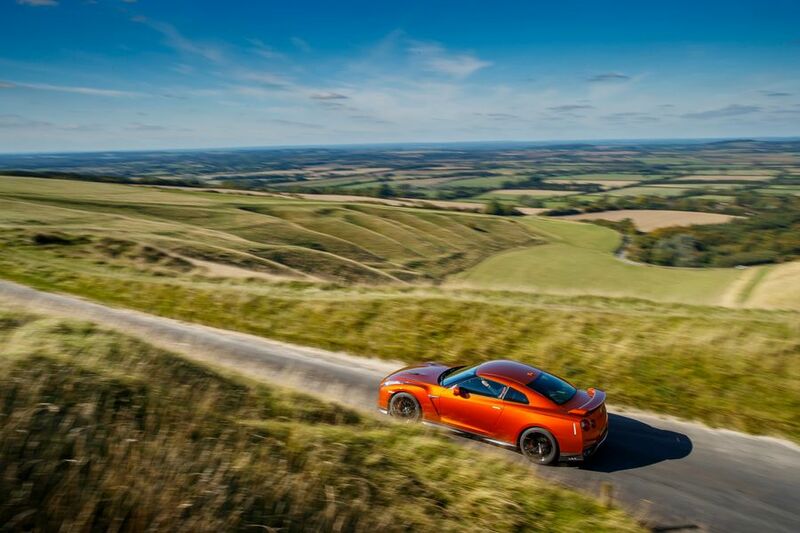 Owners worried about the potentially costly complications of an engine failure or gremlins in the four-wheel drive system can rest assured, as the transmission in the GT-R is famed for both its durability and its ability to withstand tuning. Its rating in the Warranty Direct Reliability index reflects this, with very few engine issues reported, and most problems relating to the electrics. While the GT-R is given a relatively poor rating, this is down to the expense of any repairs carried out, rather than the frequency. On the plus side, because the car has been in production a long time, all the early issues have been ironed out. Owner reviews on our website reflect this, too, with almost all reporting perfect reliability, with the only caveats to the ownership being the brief six-month service intervals, and cost of fuel and tyres. There’s a whole host of electronic systems to keep you safe and secure when driving your GT-R, with a sophisticated traction control system, stability control, and a locking rear differential. These performance/safety aids, along with the massive brakes, should be enough to keep you on the straight and narrow, but there is also protection from the six standard airbags, seat belt tensioners and super-stiff chassis. The GT-R hasn’t been crash-tested by Euro NCAP, and does miss out on the latest safety systems like autonomous braking, adaptive cruise control, and blind-spot monitors. Security should be top notch, however, with a Thatcham-approved alarm and deadlocks as standard. Unlike with many cars at this price – and particularly anything wearing a Porsche badge – there's no need to bump up the cost with a long list of options. Every GT-R comes with heated and electrically adjustable sports seats, LED headlights, keyless entry and start, dual-zone climate control, cruise control and automatic lights and wipers. The standard infotainment system also comes with almost everything you could want or need, including a hard drive for storing music, a colour reversing camera, sat-nav, DVD playback capabilities, and a thumping Bose stereo system, with 11 speakers dotted around the interior. That’s obviously quite a long list, but if you do want to upgrade, you have the option to add luxuries like premium leather upholstery, and carbon-backed seats on the Nismo. At £80-90K, the GT-R can no longer be considered a blue collar supercar slayer, but even at this sort of money, it still offers a staggering amount of bangs for your bucks. Owning one should certainly be on your bucket list. It looks, goes, grips and sounds like no other coupe on the road, and its surprisingly versatile cabin, reliability, and easy-going nature make it a brilliant daily driver – just as long as you can stomach the hefty running costs.